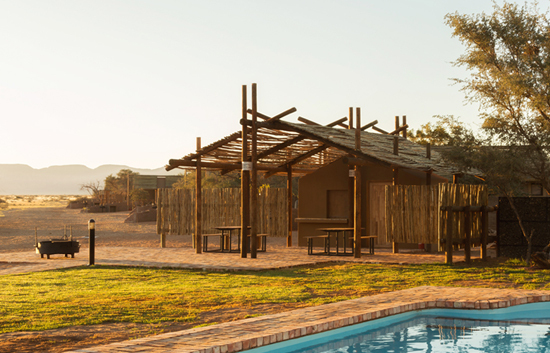 For groups travelling together, the two communal bomas provide an ideal area for everyone to get together for a barbeque or just to socialise. 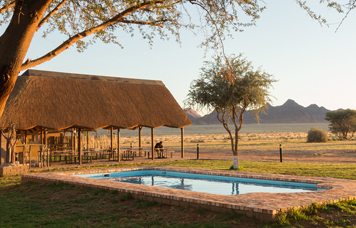 The one boma is situated next to the pool area and the other next to the bar area with walkways connecting both with the bar and pool areas. 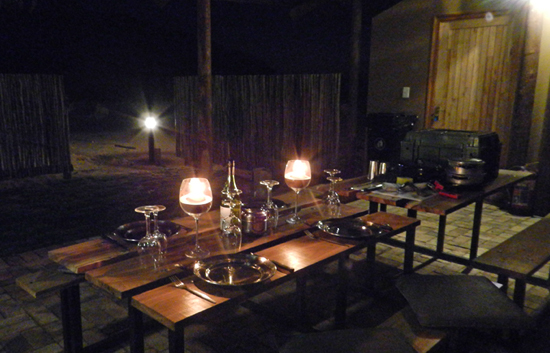 Each Boma have a kitchen with a fridge, stove, preparation area, wash-up facilities and serving hatch. 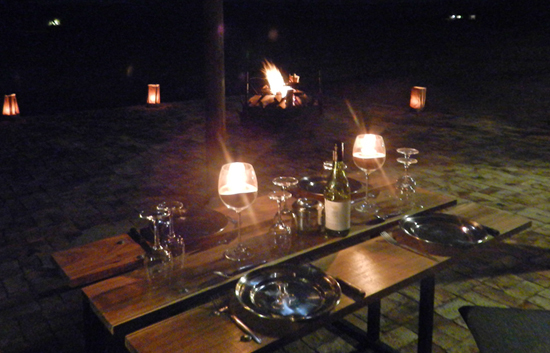 Wooden benches can be arranged as per your requirements and the large fire-pit creates a cosy atmosphere for a barbeque. 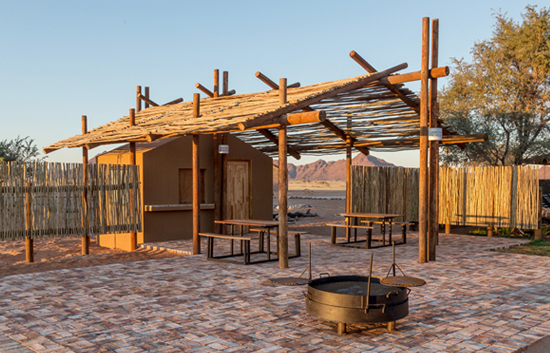 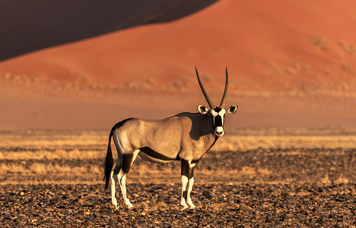 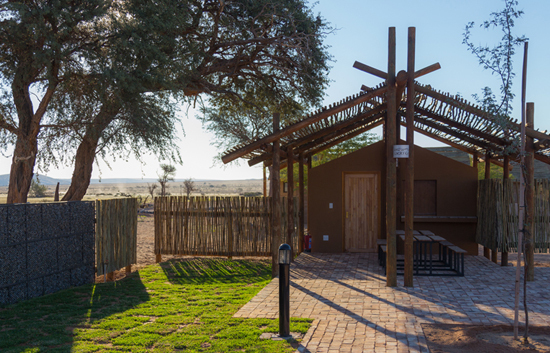 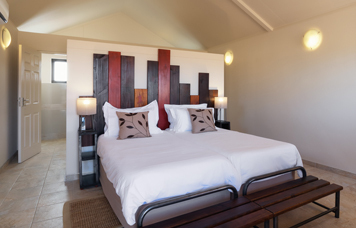 The Boma areas should be booked in advance at groups@desertcamp.com to ensure availability.